Confederation of African Football (Caf) president Ahmad has belatedly received his visa to enter the United States for this week's Fifa Council meetings. The Fifa vice-president was unable to attend the opening session of the two-day meeting after visa delays. Earlier reports indicated the Malagasy had been refused a visa which Caf, when contacted by the BBC, confirmed. As of 14 March, Caf has now stated that Ahmad's visa has indeed been granted. Among the topics for discussion in Miami are a possible expansion to the 2022 World Cup as well as fundamental changes to the Club World Cup competition. 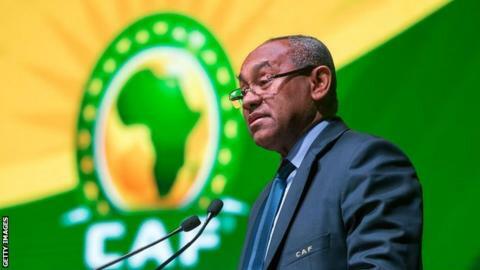 Madagascar's Ahmad was elected Caf leader in 2017 on a platform pledging to fight corruption. Nonetheless, he has faced recent criticism after being accused of violating the statutes of African football's ruling body when it came the redistribution of the 2021, 2023 and 2025 Africa Cup of Nations as well as various commercial deals.